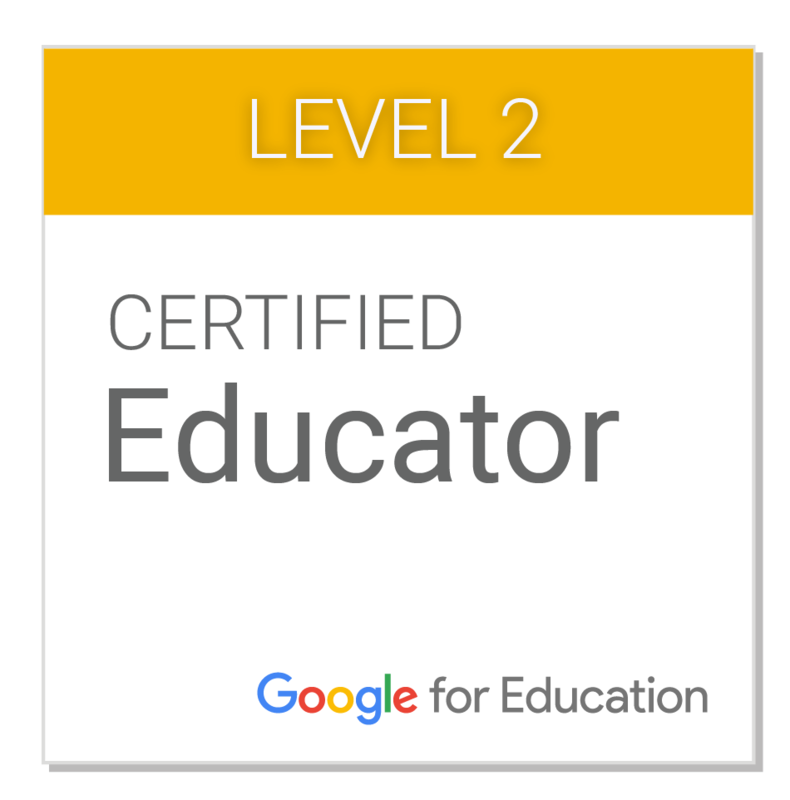 I recently led a half-day training focused on how to use Google tools to support STEM activities in the classroom. 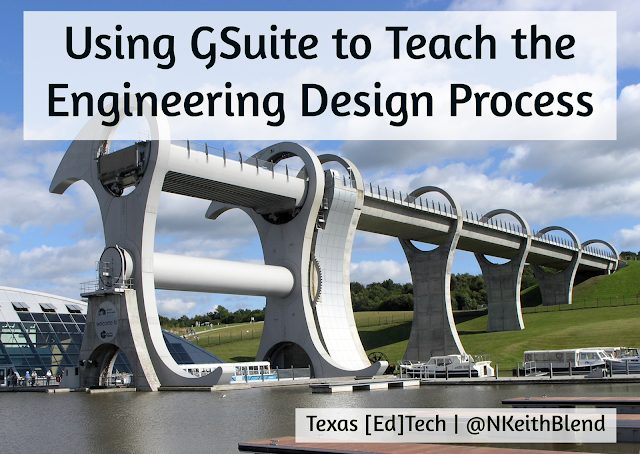 Specifically, we explored the role of GSuite in the engineering design process and STEM design challenges. 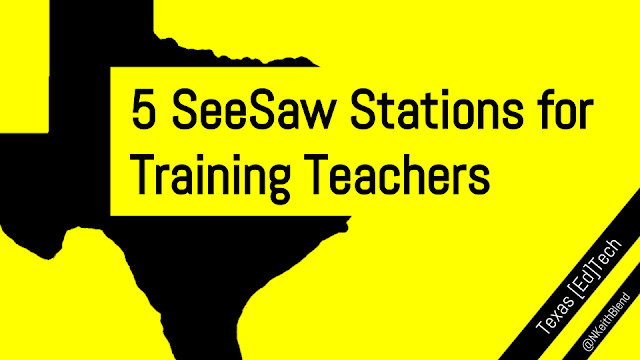 These posts capture the essence of that training, along with links to examples so you can modify them for use in your classroom. Those particular skills aren't exactly nourished in our current test-crazed, convergent-thinking, multiple-choice school culture. The question, then, is how do we help students exercise these skills in the classroom and what digital tools can we use to support them? The Engineering Design Process (EDP) provides a framework to help students think through and solve complex problems. As more schools adopt STEM, there are ever more versions of the EDP available, so you can mix-and-match/pick-and-choose which one works best for your purposes. 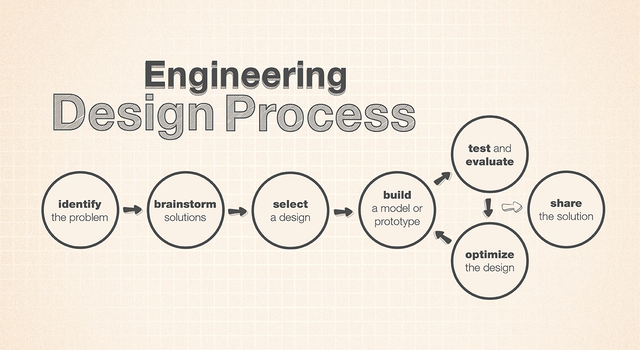 This Google image search for "engineering design process" should be more than enough to get you started. No matter what version of the EDP you choose, though, they all have the same basic elements, which align with the engineering habits of mind listed above. For the purposes of these posts, I'll use this one from the NASA Jet Propulsion Laboratory activity "The Sky and Dichotomous Key."